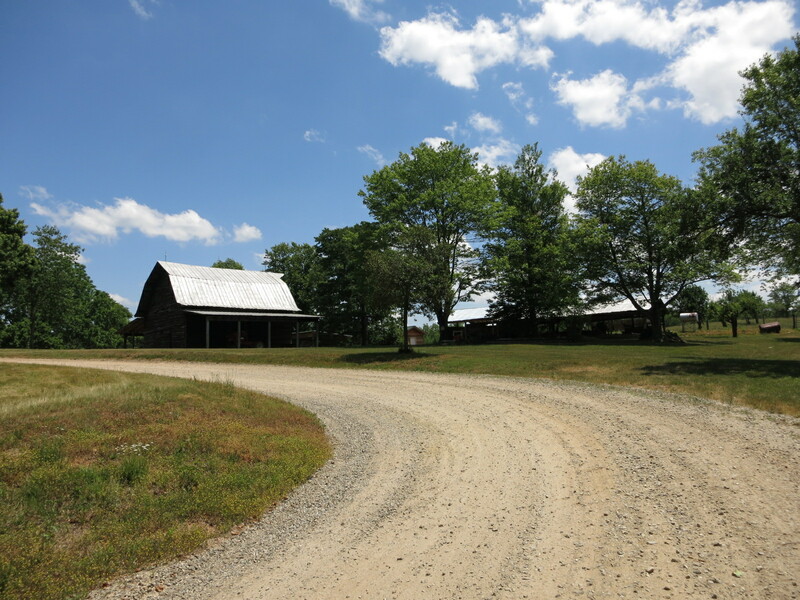 Last weekend I rode the Wilkes County Gravel Grind, a 200k RUSA Permanent route that starts in Clemmons, NC. It's a perm that I've had on my list for a couple of years because of three things: #1 It's tough, 126 miles with 7,500 feet of climbing... #2 It's unique- it includes about 18 miles of gravel roads, with one of those sections being the big climb of the day... And #3 It starts just about 20minutes from my Mom's house! 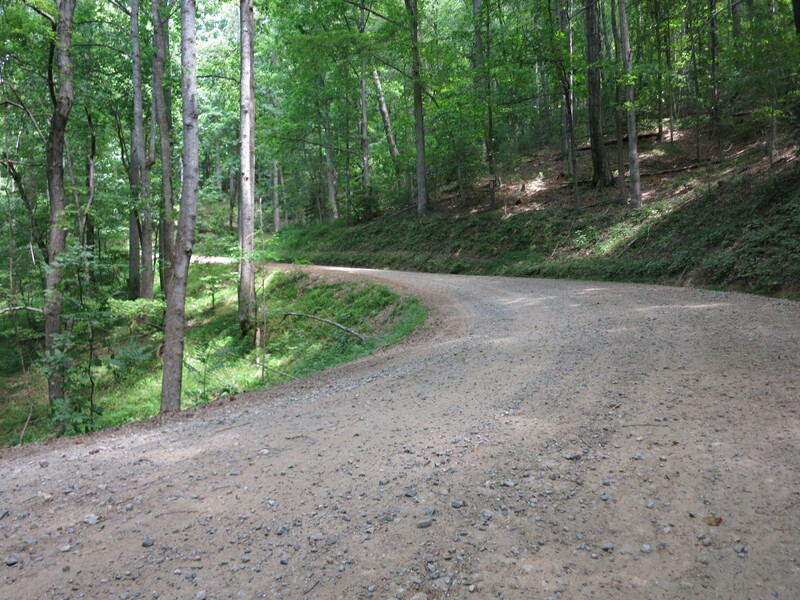 Paved roads for awhile and then the cue sheet tells me I'm approaching the 2nd gravel section, but it never comes... The state has been busy and they went and paved the road! 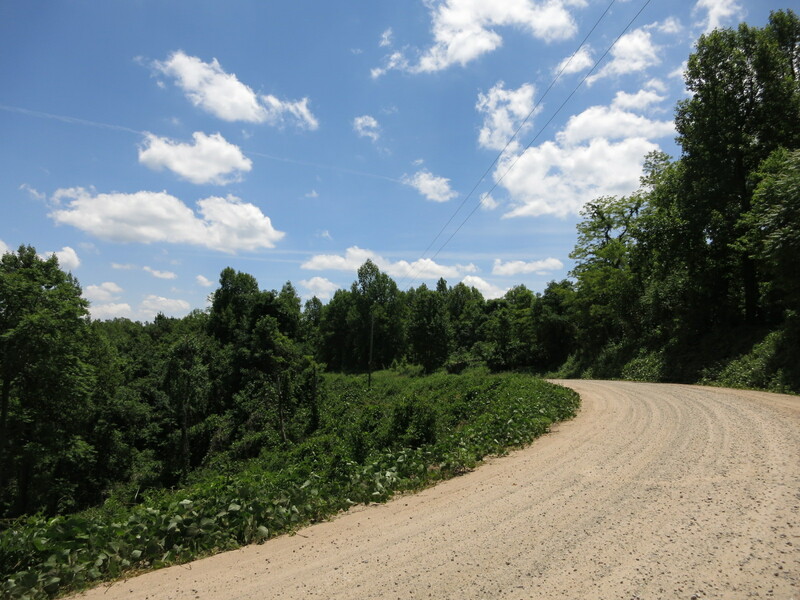 Fresh asphalt took over about a 1.5 mile section of what looked like it was good fun dirt road. Oh well, it's on to the first control at a convenience store- but it's Memorial Day weekend and the store is closed. I lurked around the buildings a bit looking for a spigot to fill my bottles, but to no avail. I was down to about half a bottle of water and the next section included the big gravel climb up Brushy Mountain. During our conversation in the early morning, Jimmy told me lots of stuff about the route- more than I could possibly recall, but when I saw a sign for Love Valley I remembered him suggesting I could go past a turn half a mile to visit the town. "Real old west" feel to it he said, horse country with hitching posts outside the general store and whatnot. I'd pretty much figured I couldn't take the extra time, but now I needed to go look for water. What I found was a real watering hole! 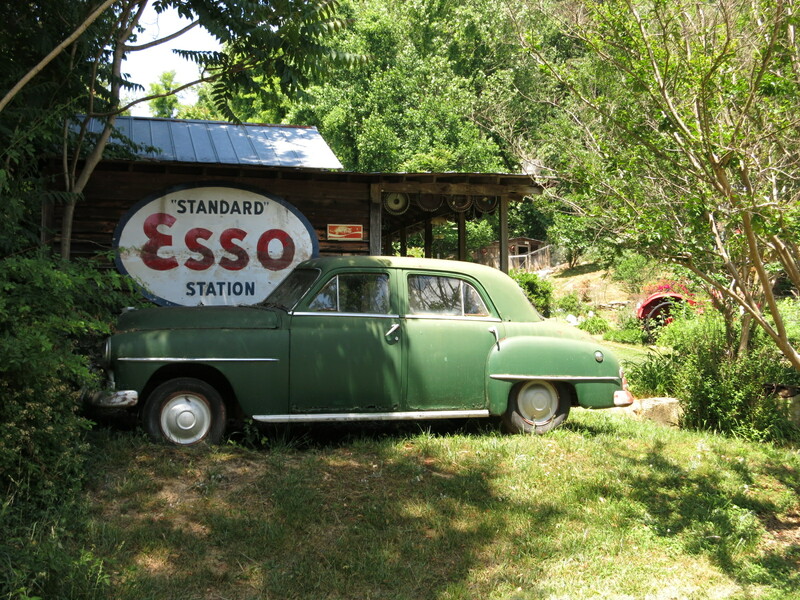 The owner was quite a character, and when I told him I was heading up the gravel roads to climb Brushy Mountain he gave me another bottle of water for my jersey pocket. Full up with H2O and a dash of good rando luck I headed up the mountain, passing friendly folks on horses and enjoying some beautiful weather. Turns out I climb on gravel just about as slow as I do on paved roads. This is a serious climb, too with a few steep turns that had me losing traction and sliding out sideways. I walked a couple or 3 times. Each time I was able to get going again once the steepness wore off. Finally I got to the top and back on paved roads. My reward for the climb was a really fun descent with fast switchbacks on asphalt. I'm glad I didn't have to go back down the gravel road!! The control in North Wilkesboro is the Coffee House, and by this time it was after 1PM and I was hungry. I sat down for a ham & cheese sandwich and fries. Refilled the bottles and got back on the road in just about half an hour. There aren't any more controls for the last 50 miles or so back to Clemmons. The cue sheet does mention one store, but I missed it and after awhile I began to worry about water again. The day had gotten hot and I was riding in some of those areas you just know it's a long way to a store. Twice the road was closed due to a bridge out. the first one was a scramble down rocks and hop a creek, but the second was a river crossing. The bridge workers had stretched a couple of I-beams across the river to go back & forth. Did a couple more easy gravel sections and then stopped at an old gas station that was closed but had a spigot out front. I was down to less than half a bottle. The water was rust-colored at first, but then became slightly less rust-colored so I filled my empty bottle and carried it in case I ran out before finding a store. A little while later I passed a school with a ball field and went on the hunt again, finding a much better spigot. I dumped the rust water, rinsed and filled up for the last 20 miles.